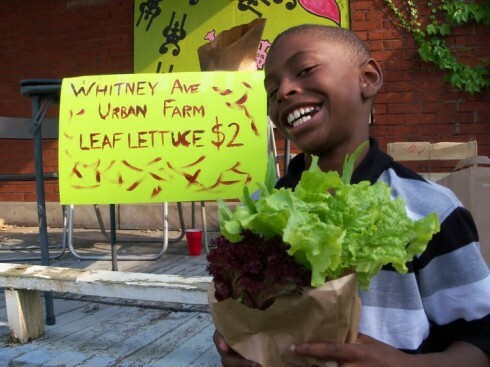 In an abandoned lot in Pittsburgh a boy is selling lettuce. Down Tooting High Street a carnival is in full swing. In a village in Portugal two men are walking in a field beside horses. In a fire station in Moss Side a film preview is taking place: “There was silence. You could have heard a pin drop. And then a sound, kind of like a pin dropping. There it is again. And again, many times in rapid succession. Then silence. Nothing.” This is Joel Prittie, writing about his experiences previewing the film, In Transition 2.0, simultaneously with eleven other initiatives worldwide in February. He’s telling us how the machine jammed, how he resolved the dilemma, and how everyone cheered at the end. It’s a small story. These are all small stories. You might not know they are happening or take much notice of them. But if you were curious, you would discover how that lettuce came to be growing in such an unlikely neighbourhood; why everyone in the carnival was wearing clothes made of rubbish; why the elders of the village were teaching the young people to plough; why Joel Prittie, ex double-glazing salesman, knocked on 1100 doors in the rain in Manchester. If you pulled these stories together, you would notice they all had a common thread. That’s the moment you realise it’s a big story. The story in fact. The story of how people are coming together in the face of difficulties and making another kind of future. That’s the story of Transition 2.0. The Transition movement began in 2005 in the market town of Totnes in Devon and since then has sparked off 900 initiatives worldwide. There are initiatives in cities and rural villages, towns and bioregions. Originally billed as a “community-led response to climate change and peak oil”, Transition provides a structure for communities to engage in order to become resilient in the face of these challenges. The term, borrowed from ecology, means the ability for systems to adapt and survive great shocks. Living within a dominant corporate monoculture where communities are often fragmented and there is little mainstream media attention on these global realities, this is a big ask for most modern people. Every aspect of our industrialised lives has been made possible by cheap fossil fuels, from the clothes we wear to the food we eat. We live, however, mostly in the dark about these facts, or the effects of our daily actions on the environment. Or if we do know them, we see them as information and do not take action. In Transition 2.0 focuses on the moves groups of people are making to look at the future squarely, to make connections with one another and to find ways to thrive in challenging times. In 2012, resilience also means the capacity to deal with Transition’s third driver, the economic crisis. The shock of the shock doctrine — the crushing blow of austerity, as people everywhere feel the consequences of our growth-at-all-costs culture and the increasing consolidation of wealth for the few. In its typical pragmatic, positive way In Transition 2.0 doesn’t analyse this situation within a political frame. It acknowledges the big picture, and then gets down to work relocalising the neighbourhood. The film lays out the three drivers briefly at the start, then follows the track of the second book, The Transition Companion, dividing its attention on the different stages Transition initiatives go through, from the start up phase — forming a group and raising awareness — to building up local social enterprises. Rob Hopkins, the co-founder of the Transition Network, explains these stages, and the film looks at the projects that best illustrate the way Transition works. In many ways the documentary is a tool, a showcase for people who may know nothing about Transition’s aims and structures. It is a mild watching experience, with interviews and information, and you might wonder why someone who has been involved in two initiatives and immersed in Transition communications for almost four years would have anything to find in it. What more did I need to know? But the fact is: this is a big story. Resilient systems enforce their connections by constant feedback. You are consciously connecting with others through a vast communications network, that works like the mycorrhizal fungi in soil. I might know what is going on in the neighbourhood, but I don’t know what is going on in Portugal or Maryland. You don’t know for example that the first Transition initiative in India has created 400 vegetable gardens in Tamil Nadu. You don’t know how the co-operative Handmade Bakery in Yorkshire set up business, how the Brixton Pound (Britain’s first e-currency) works in the market, or that the mayor of Monteveglio in Italy has adopted an energy descent plan for the whole region. Most of all you realise that the crisis which up to this point has seemed academic is now very real in many places. Unlike the first film which focused on the start up exhilarating phase of Transition, this had a darker, deeper tone. Here are initiatives who are undergoing the shocks of climate change and the collapse of top-down infrastructure. Here is Japan after the nuclear disaster, New Zealand after two earthquakes. Transition groups that had already been working together were able to respond collectively to the crisis. Thanks to the connections already made though the Lyttelton time-bank, the initiative was able to pull in help to deliver water and food all over the devastated town. There are many criticisms of Transition. It is not political, realistic, activist enough; it is white and middle class; it lacks structure; it’s too structured, too fluffy and feel-good. It doesn’t fulfill everything. It’s true, it doesn’t fulfill everything. But you would be hard pushed to find another method that can bring diverse people together within a frame of change. There are plenty of adversarial organisations that address climate change (Climate Rush, Greenpeace) and the financial system (UK Uncut, Occupy); there are plenty of low-carbon incentives (10:10, 350.org) and urban growing projects (Growing Communities in Hackney, Abundance and city farms in Sheffield). But what Transition does is address all these aspects simultaneously. It allows for many kinds of people to sit in a room together and work out ways to proceed. What is the most important ingredient or tool in the book (87 in all)? I asked Rob Hopkins at the Twitter launch of the Transition companion. The first one, Working in Groups, was his reply. Our number one challenge is working in groups when we have been raised in an individualist hierarchical culture, taught to be hostile to the max. The film doesn’t show the struggle that most groups go though in dealing with this, though it does talk about conflict (including the testimony of Chris Hart from Transition Lancaster that collapsed and then reformed itself successfully a year later). Nor does it show the massive fall outs that happen when an old way of doing things (my will against yours) clashes with a new (our way together). How these old structures cling on. How the new ones demand massive inner shifts, but that if you manage to hold together extraordinary things start to happen. What it does show is how Transition as a method, culture and network brings people together to work out solutions in places suffering from massive downturn. In the Portuguese village of Amoreiras the initiative held a meeting and asked everyone to dream. The village had suffered the fate of many rural places where most of the population had left for work in the cities. The group listened to everyone’s desires and then put their collective vision into motion. They painted the whole village, set up a local market, organised a working party to bring about better healthcare. This is the hardest task. We are taught to listen to experts and to obey rules. Transition puts the decisions back into our hands and asks everyone to take the lead, become knowledgeable about how towns and councils work, talk with other local groups, find out about waste, alternative energy, sustainable food systems, how to write a press release, give a talk, keep bees, grow a lettuce. We are discouraged in our every attempt by the status quo. Keep shopping, keep distracted, keep listening to the old story! But there is new narrative out there, what Paul Hawken calls the greatest untold story of our time. Some of this is embodied in Transition. It’s hard work and rarely paid, but it brings rewards you don’t see on the surface, that are difficult to show on a film. These are the invisible connections between people, feelings of belonging, of meaning, of self-worth, boldness and possibility, the simple joy of sharing things, tools, knowledge, apples from your tree. Most of all it gives you an opportunity you never knew existed. Here’s next week’s schedule with my home initiatives of Sustainable Bungay and Transition Norwich: showing a documentary with Waveney Greenpeace in a local barn (Crisis of Civilisation), working in our monthly community kitchen (for a sit-down supper for 50), helping out at our Give and Take Day (free exchange of stuff), introducing people to medicine plants in an event called Walking with Weeds, writing on two community blogs (one local, one national), setting up a newspaper (Transition Free Press). None of these activities would happen without this small band of people I have been working with for the last four years. We would never have met. History and consumerism and the class system would have kept us separated from one another. Our library community garden would be bare brick. The bee-friendly wildflower meadow would be unsown. Norwich would not have an urban farm. I would never have met any of my fellow transitioners I am in daily contact with, or the many affiliated groups that write in our blogs from Occupy Norwich to BiofuelWatch to the new bicycle workshop off Magdalen Street. I would not be writing this piece. You would not be reading it. The film and everything that happens in its 66 minutes would not be happening. Except that it is happening: and it’s worth seeing if only to know that these seeds are being sown in a time when everything seems set against us and all life on earth. There is a story that underpins what we do and sometimes we tell it to each other in the hard times. The caterpillar keeps munching his way voraciously across the green planet. One day he buries himself in a cocoon, and unknowingly begins the process of transformation. His body starts to dissolve and as it does imaginal buds start to appear from nowhere. At first the caterpillar’s immune system attacks and defeats this new form. Then the buds rise up again. This time they link up and the defence system can not destroy them. They hold fast. The old structure dissolves. The butterfly begins to emerge. It’s a form you would never have imagined, something beautiful emerging in world that appears only to profit the greedy and antagonistic. But sometimes in our struggle we catch a glimpse of the butterfly wing. In the flash of carnival costume, in the mists over a Japanese mountain, in the sound of each others’ voices, in the smile of a boy holding a lettuce grown against all odds. Charlotte Du Cann is a writer and community activist, working with the Transition Network and the Dark Mountain Project. An ex-journalist, she now edits several community blogs, This Low Carbon Life, The Social Reporters Project and the OneWorldColumn. Her book 52 Flowers That Shook My World – A Radical Return to Earth i(Two Ravens Press) will be published on August 1. You can find a selection of recent writings on http://charlotteducann.blogspot.com. This review was originally published at STIR, an excellent online magazine.